Welcome to Medallion Wealth Management, Inc.
Our mission is to achieve, enhance and preserve the wealth of our clients by fully understanding their lifelong financial needs. We do that by building an investment portfolio to match those needs. 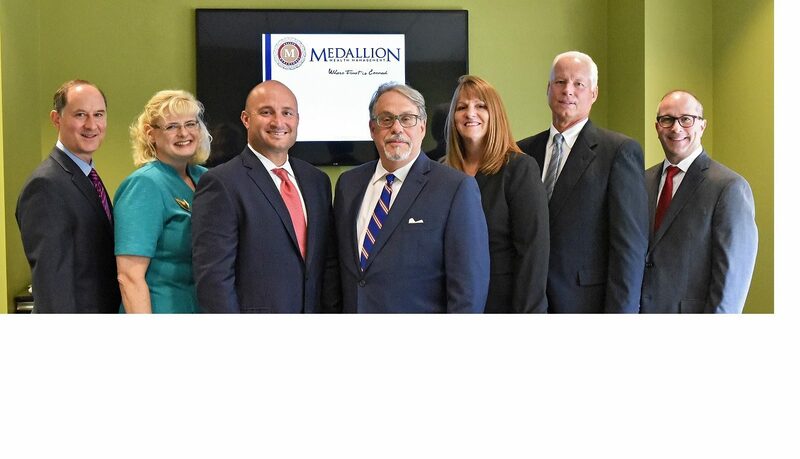 Medallion is affiliated with Cambridge Investment Research, Inc. a FINRA registered broker-dealer, as well as Cambridge Investment Research Advisors, Inc. (CIRA), an SEC-registered investment advisor. Through this affiliation, we have access to various investment platforms, including Pershing LLC, Fidelity Investments and Schwab Institutional. Clients’ assets may be custodied on any one of these platforms, where we manage their portfolios on a discretionary basis through CIRA. We also offer clients separately managed account solutions offered by various outside SEC registered money management firms. The delivery of financial services is complex. Financial planners, stock brokers, insurance salesmen and others vie for handling a piece of your wealth. As experienced money managers and financial advisors, we simplify the process for you by focusing on what we do best: listening to you and applying our portfolio expertise to help you achieve lifetime financial goals.